As an effort to showcase our commitment to whisky, here are some of the finest moments which we would like to share with our audience. 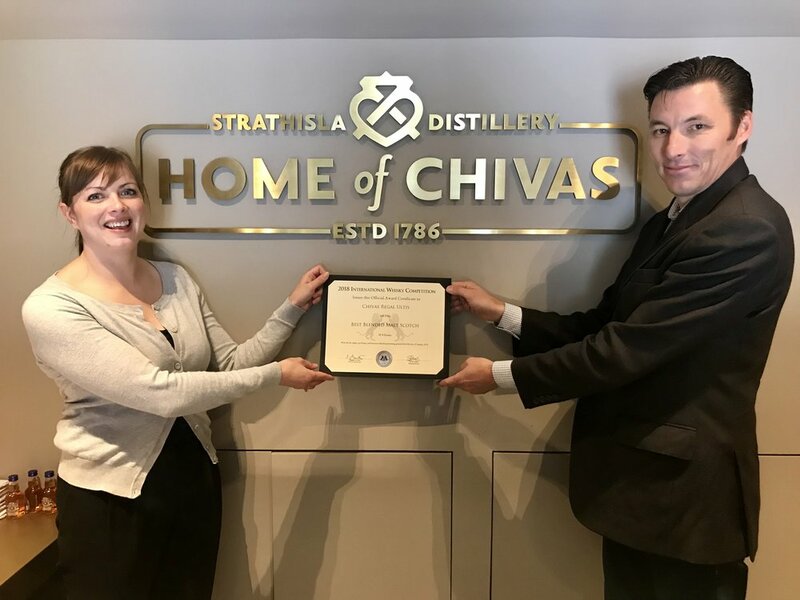 Brand Home Supervisor at Strathisla Distillery, Home of Chivas Regal, receiving one of their awards from Sebastien Gavillet, our Head of Tasting Panel. Birds eye view through the glass. 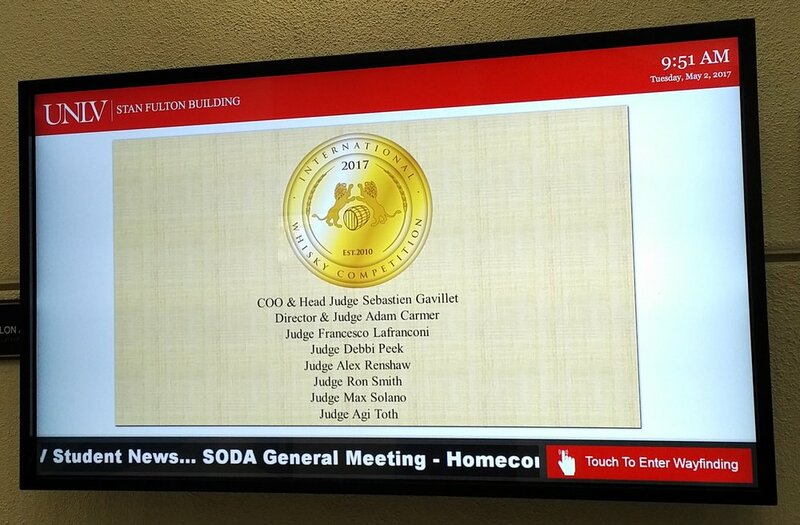 This year the competition was moved from Chicago to Las Vegas and hosted at UNLV in the Sam Fulton Building. The BV17 - Johnson's Whisky Tot by Bottega del Vino Crystal is the official glass of the IWC. 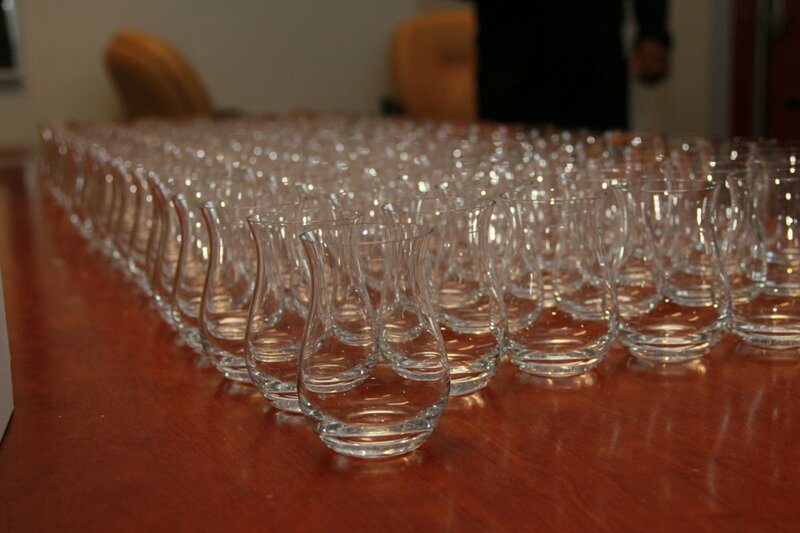 Many thanks to JD which managed the event staffs as well as the pouring of each whisky. 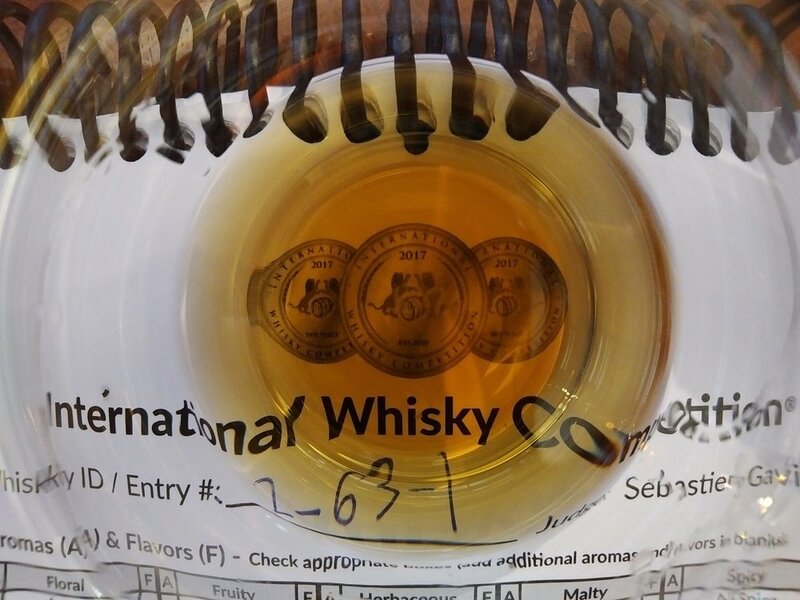 Not only are the whiskies sampled at the IWC tasted blind but the whiskies themselves are repoured into "numbered" bottle to ensure the anonymity of each whisky. The Chairman's seat was left empty in honor of the late Dr. Jim Swan. He was not part of the IWC tasting panel but admired by all and the IWC tasting committee wanted to pay him tribute. 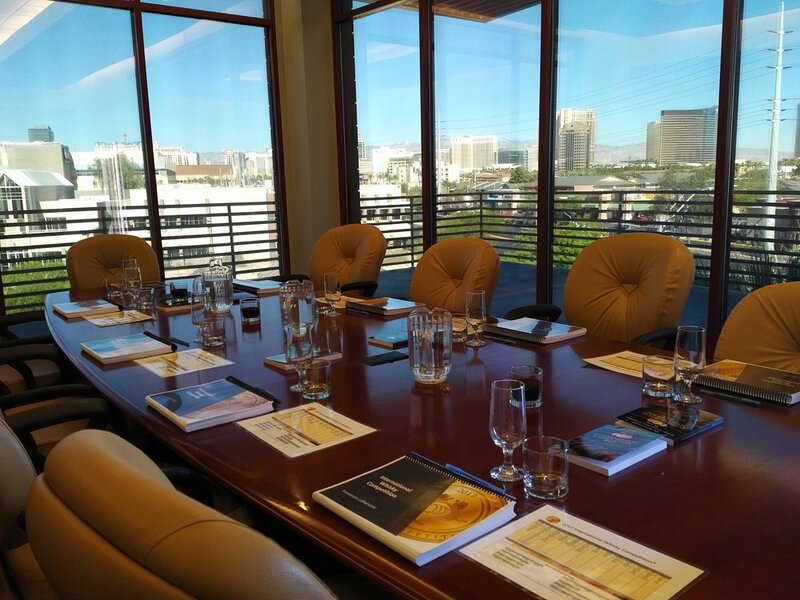 The Executive boardroom at Stan Fulton Building where the 2017 IWC took place. All staff members serving this year were UNLV students. A great thank you to each and every one. 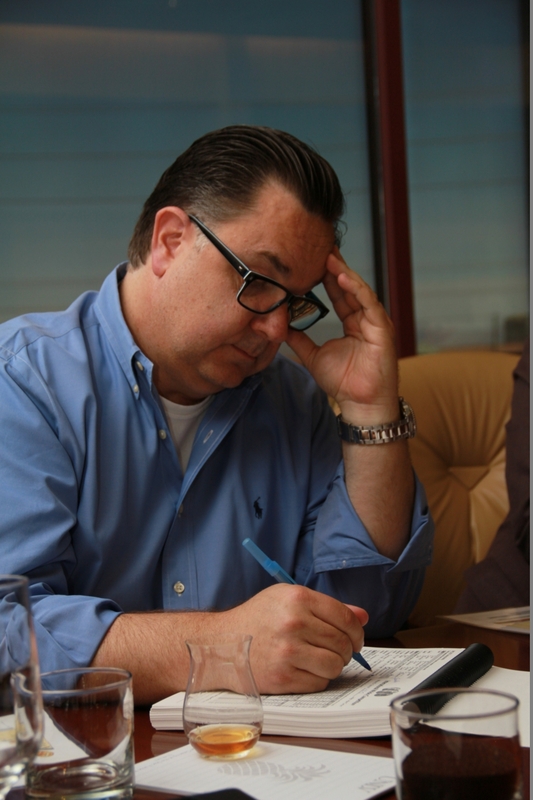 Reviewing the freshly revised tasting sheet with Max Solano which was invited this year as guest judge and will be replacing one of our panel members next year. He will be a great addition to our panel. The IWC tasting panel in a pre-tasting discussion. In 2017 Adam Carmer took over as competition director and organized the venue for the 2017 IWC. Alex Renshaw completing the tasting sheet. Each whisky sampled has it's own tasting sheet. 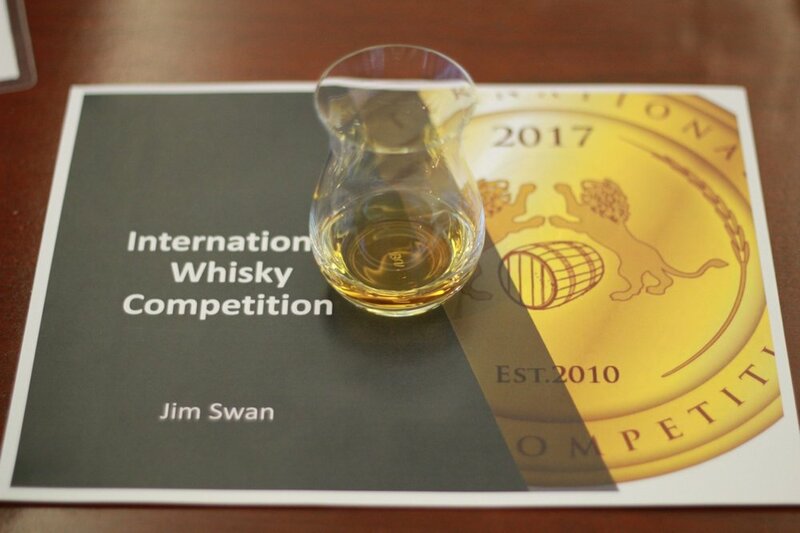 It is the most comprehensive tasting sheet in the industry for competitions. Adam Carmer the creator of the CSTEM hard at work. Debbi Peek doing her thing... Debbi is from SGWS in Tampa, FL where she is a mixologist. 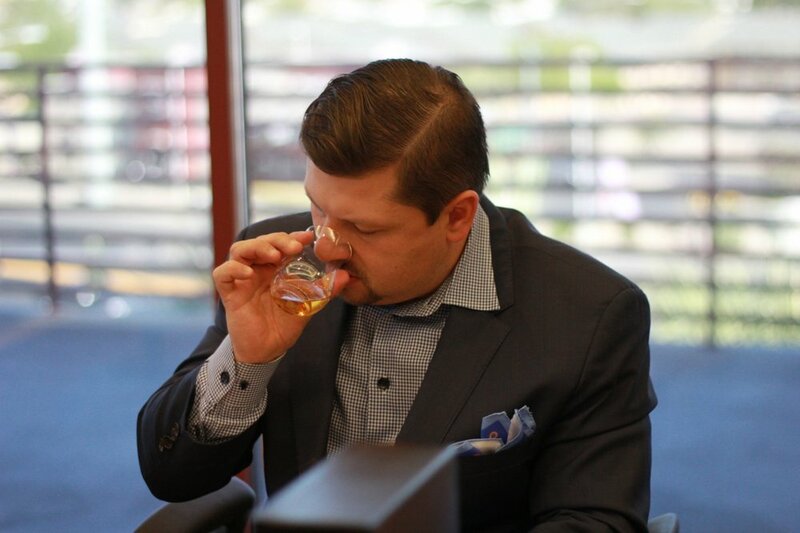 Max Solano nosing away... new to the IWC but not to spirit competitions. Adam Carmer nosing away as well... and feeling at home at UNLV where Adam is a professor at William F. Harrah College of Hotel Administration. A dram was poured and left at the chairman's seat to honor the late Dr. Jim Swan. Sebastien Gavillet in his 3rd year as Head of the Tasting Panel sampling away... Something he is used to as a professional taster and nose-for-hire. Agi Toth in her element... All data is gathered and compiled as one. 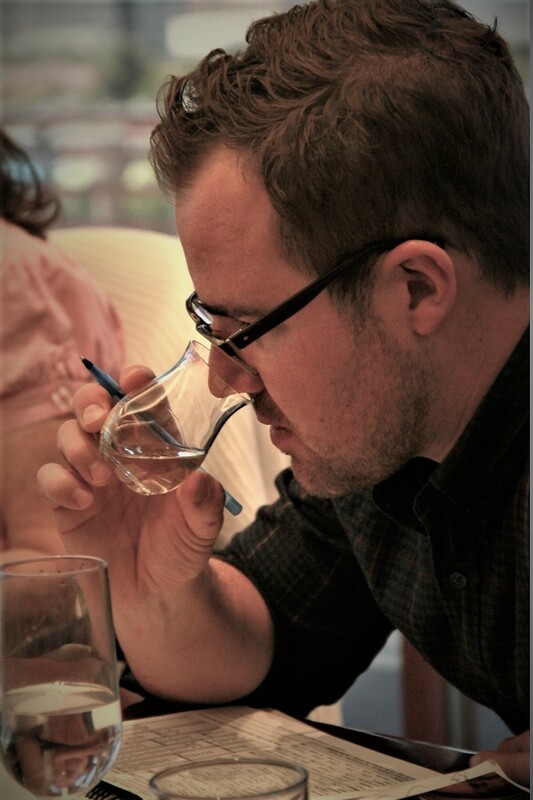 Alex Renshaw sniffing away... Mixologists account for 1/3 of our panel. 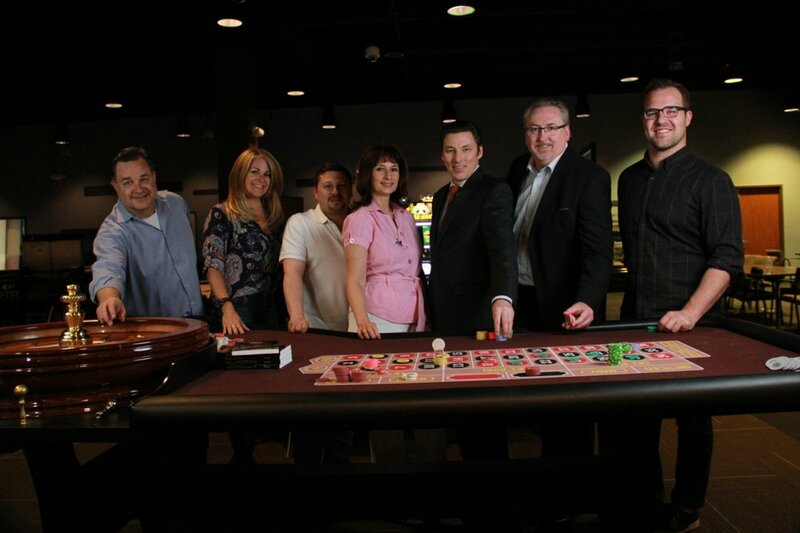 Some of the tasting panel members enjoying the amedities UNLV has to offer for a perfect Las Vegas photo op. 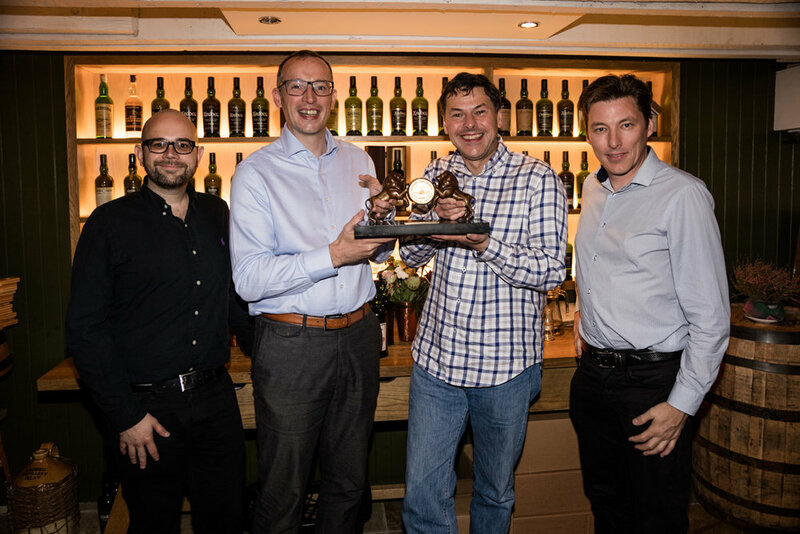 Sébastien Gavillet (left), IWC Head of Tasting Panel, with Sylvain Allard (right), IWC Managing Director, present the winning certificate for Glenmorangie Signet. Celebrating 8 winning certificates for exceptional Johnnie Walker expressions that made it in the top three positions in 6 categories. Kiln Embers took the 1st Place in Best New Release with 93.2 points. 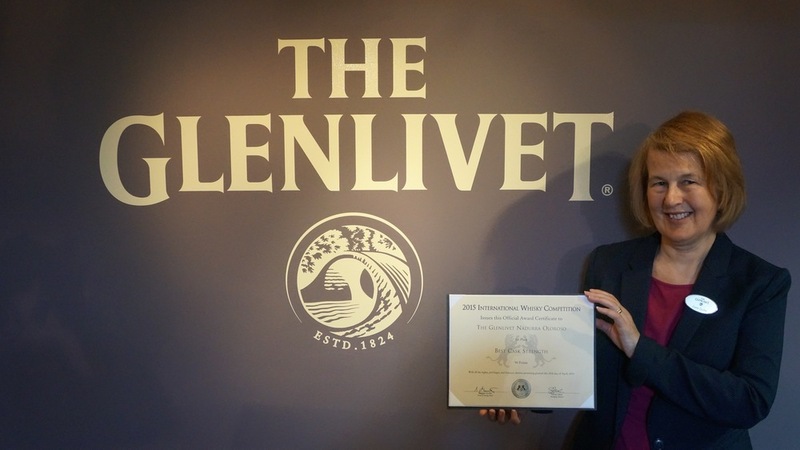 The Glenlivet Nàdurra Peated Whisky Cask Finish came in 3rd Place for Best Cask Strength and the 18 Year Old expression won 1st Place for Best Single Malt 18 Year Old. Inside The Lost Distillery Company Whisky Lounge with the award certificate for Lossit Classic Selection who came 3rd Place in Best New Release with 86 points. 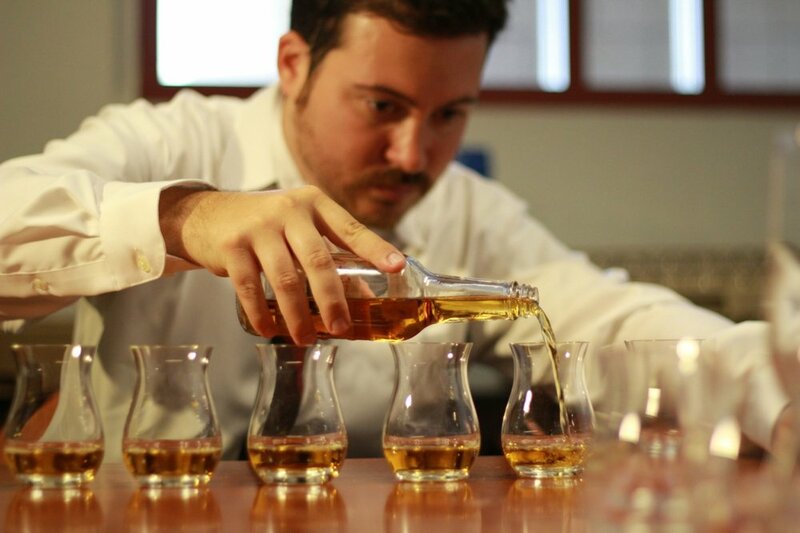 Whisky is about passionate people. 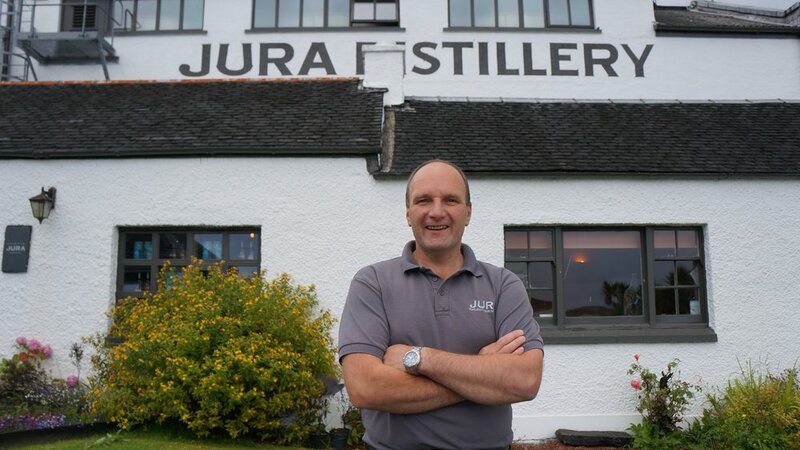 Jura Superstition and Origin 10 Year Old, 1st Place and 3rd Place in Best Islands Single Malt category. Aberlour was named Distillery of the Year. For Chivas Regal 18 Year Old, 2nd Place for Best Blended Scotch Whisky Over 18 Year Old with 88.8 points. 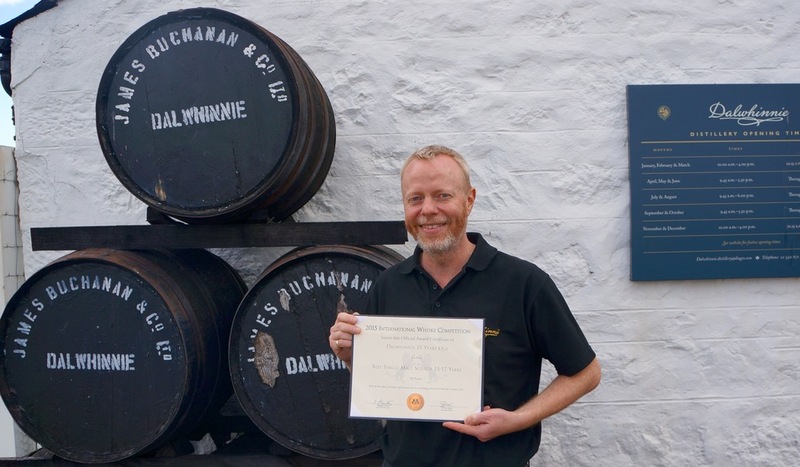 Kilchoman Machir Bay won the 1st Place for 2016 Best Islay Single Malt. 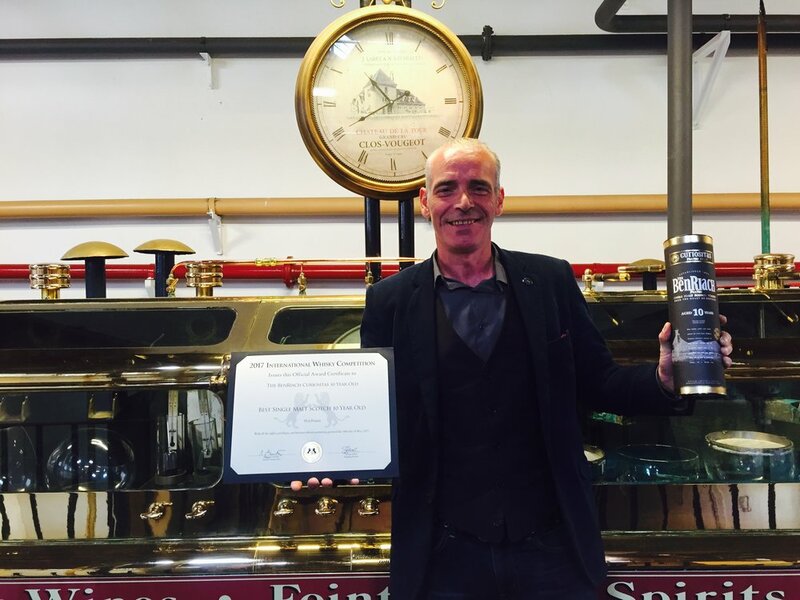 Receiving his award certificate from Sylvain Allard, IWC Managing Director, for Rock Oyster, 2nd Place in Best Blended Malt Scotch with 91.1 points. 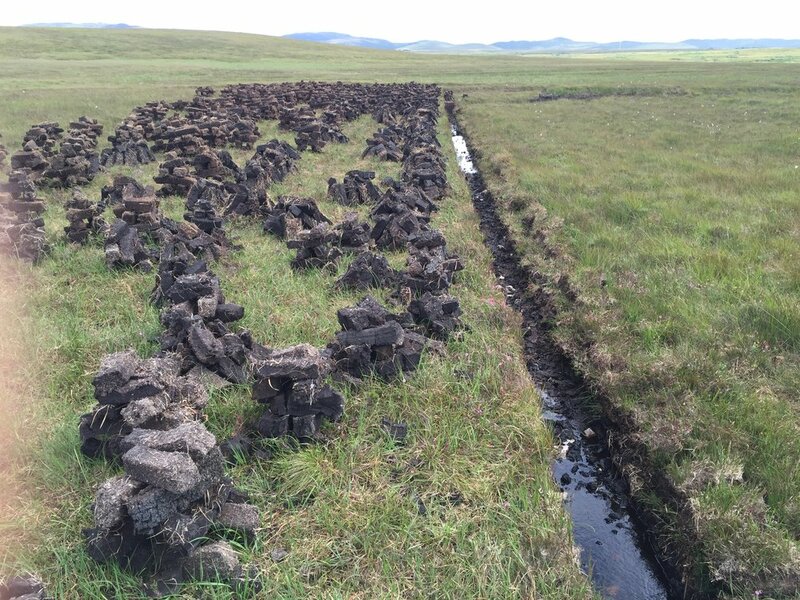 "Fresh" Islay Peat - only takes peat 100 years to be formed. 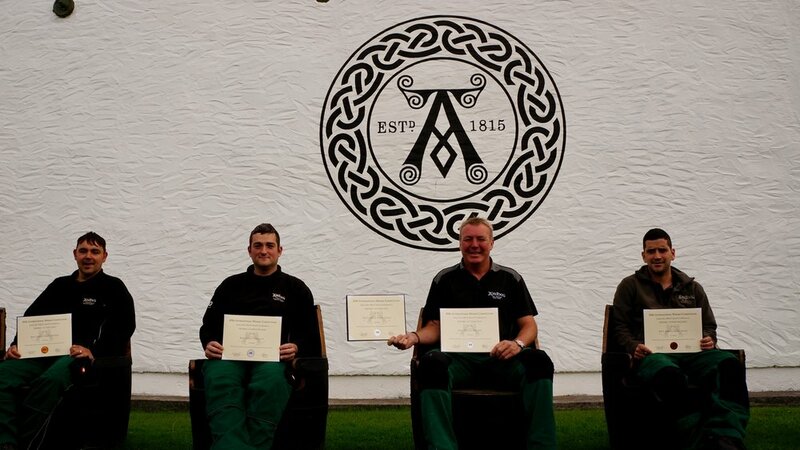 It was a great honour to be able to present the Award for Best Single Malt Scotch 10 Years (Ardbeg 10 Years Old) to the men working at the warehouse. Bruce Mackenzie, Master Distiller at Dalwhinnie accepting the 3rd place award for Dalwhinnie 15 Years Old in the Best Single Malt Scotch 13-17 Years category. 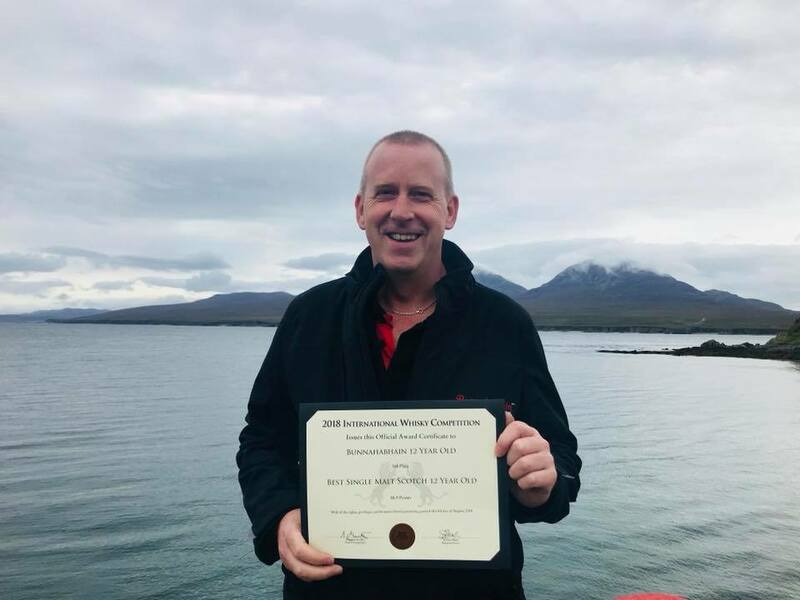 Andrew Brown, Master Distiller at Bunnahabhain was presented the award for Bunnahabhain 25 Years Old which ranked 3rd in the Best Single Malt Scotch 25 Years Old category. 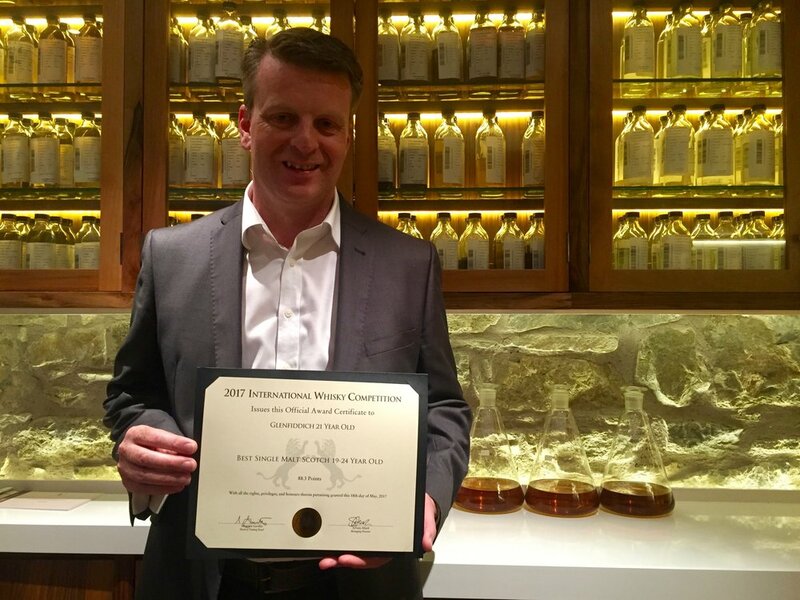 Boa Andersson accepted on behalf of Colin Scott the 1st place award for Chivas Regal 18 Years Old in the Best Blended Scotch (18 Years Old) category.